Exclusively ours. Badgley Mischka Collection floral lace cocktail dress with flower cluster applique detail. Jewel neckline. Sleeveless. Side slip pockets. Shift silhouette. Knee length. Back zip. Polyester shell and lining. Imported. 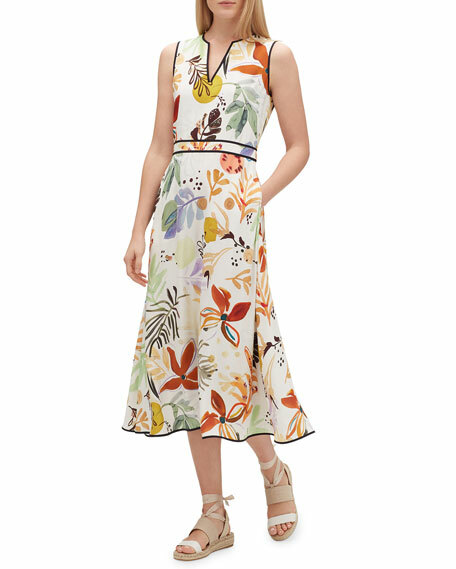 Halston Heritage tulip floral jacquard cocktail dress. Approx. 34"L down center back. V neckline. Racerback styling. Sleeveless; straps adjust. Fit-and-flare silhouette. Tulip skirt. Mid-thigh length. Even hem. Hidden back zip. Polyester. Lined. Dry clean. Imported. 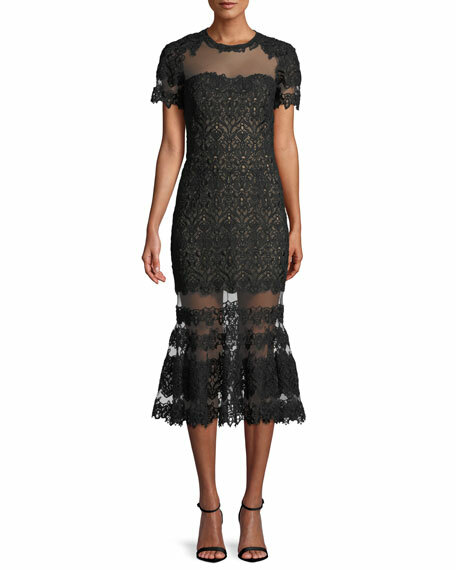 Jonathan Simkhai cocktail dress in guipure lace with sheer insets. Crew neckline. Short sleeves. A-line silhouette. 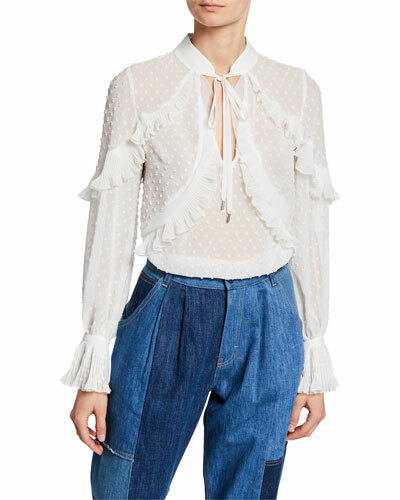 Flounce hem. Midi length. Concealed back zip. Polyester; combo, polyacetate. Imported. 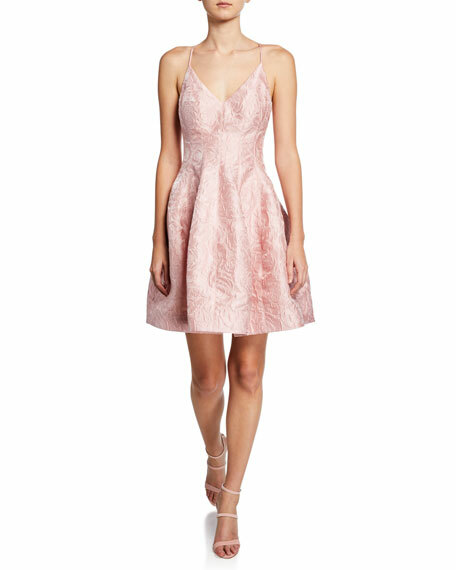 Lafayette 148 New York "Janelle" dress in fiore-printed drape cloth. 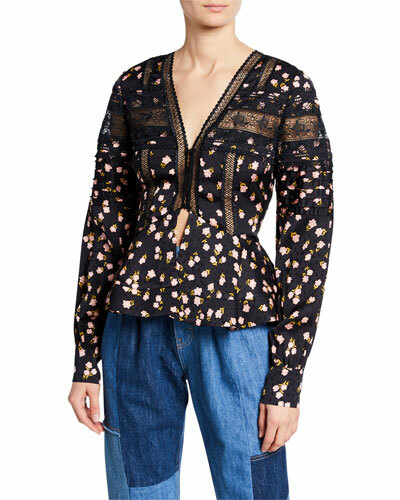 V-neckline. Sleeveless. Side slip pockets. A-line silhouette. Midi length. Hidden back zip. Viscose. Bemberg cupro pocket lining. Polyester/spandex piping. Imported.